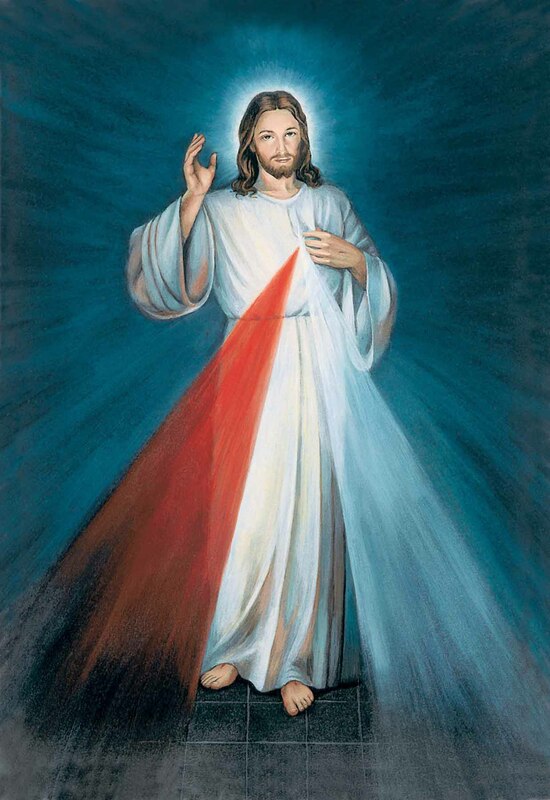 Divine Mercy is when God’s love meets us and helps us in the midst of our suffering and sin. In the 1930s, Jesus told Saint Maria Faustina Kowalska that she was to prepare the world for His Second Coming and that He would be pouring out His Mercy in very great abundance as the very last hope of salvation before He comes again. Jesus gave her special prayers and asked for a feast to be established. On Sunday, April 28 at 3:00 pm, our three communities will come together in a trilingual Divine Mercy celebration. Confessions will be heard in English, Spanish and Portuguese beginning at 2:00 pm. Our celebration will include Exposition of the Blessed Sacrament, recitation of the Divine Mercy Chaplet, readings and prayers, and a blessing of Divine Mercy images. A special handout will be provided with all you need to participate in this beautiful liturgy. Learn more about the image here. Learn more about Saint Faustina here.